As attendance is intrinsic to educational opportunity, the Department of Education and Early Childhood Development (DEECD) policy is that all students enrolled in government schools must attend on a full-time basis unless absent with the authority of the school. 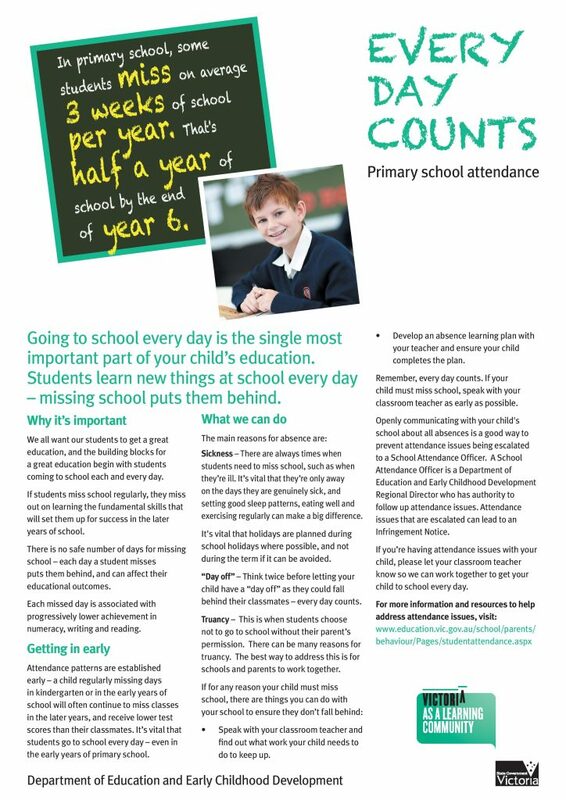 We acknowledge that attendance depends on active cooperation between the school, parents/caregivers and the student. monitor student progress and adjust the educational program to meet student needs.